Charming Pool Home! Enjoy summer nights laughing with friend and family while enjoying your sparkling pool and outdoor BBQ island! The island is already carved out for you to pick all your appliances and create a beautiful masterpiece of a backyard. This home is contemporary Spanish style and is very charming in a terrific location and corner lot! It is like having your very own little Spanish hacienda! This home was recently painted, has new carpeting and recessed lighting in the kitchen. All it needs is a wonderful family that will continue the legacy of memories. It features a large living room with a lovely brick fireplace as well as a sitting area next to the formal dining room. 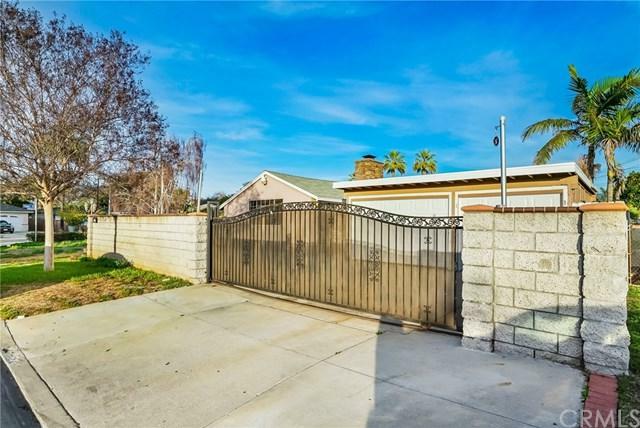 There are 4 spacious bedrooms, 2 bathrooms, a large front yard is semi-private with its lush greenery and the gated driveway secures a 2-car garage and RV access parking and upgraded cooper piping. Right near Hollenbeck park with recreation center, skate park, and lake. Bring your kids and furry pets and fall in love with this charming home! This home will not last! Schedule an appointment today!